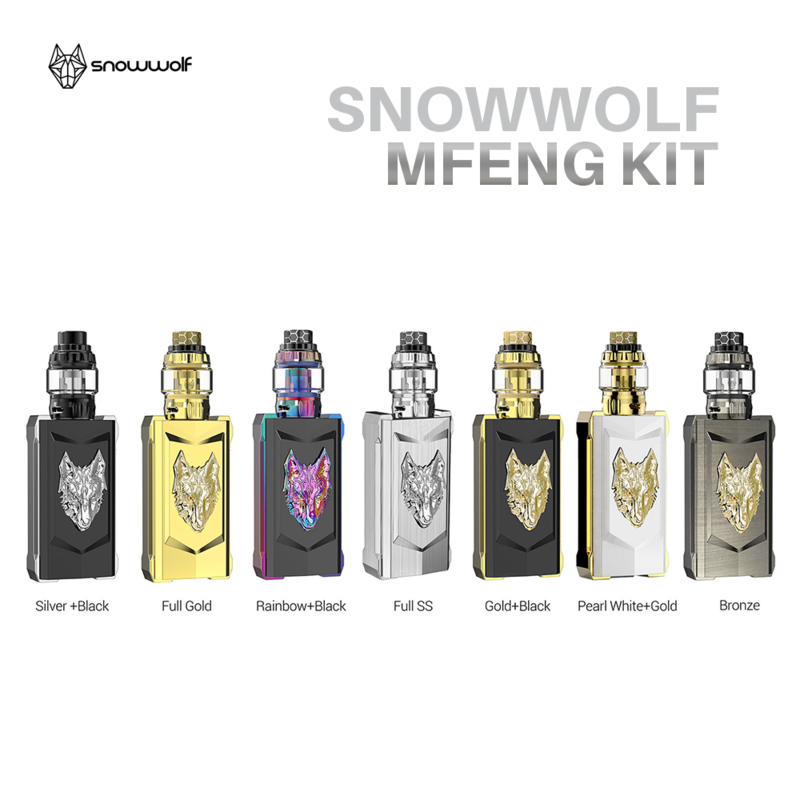 The SnowWolf MFENG 200W TC Starter Kit is the luxurious rendition of SnowWolf's box mod line-up, integrating a high-end structural design with the iconic logo to pair with a powerful WOLF Sub-Ohm Tank. 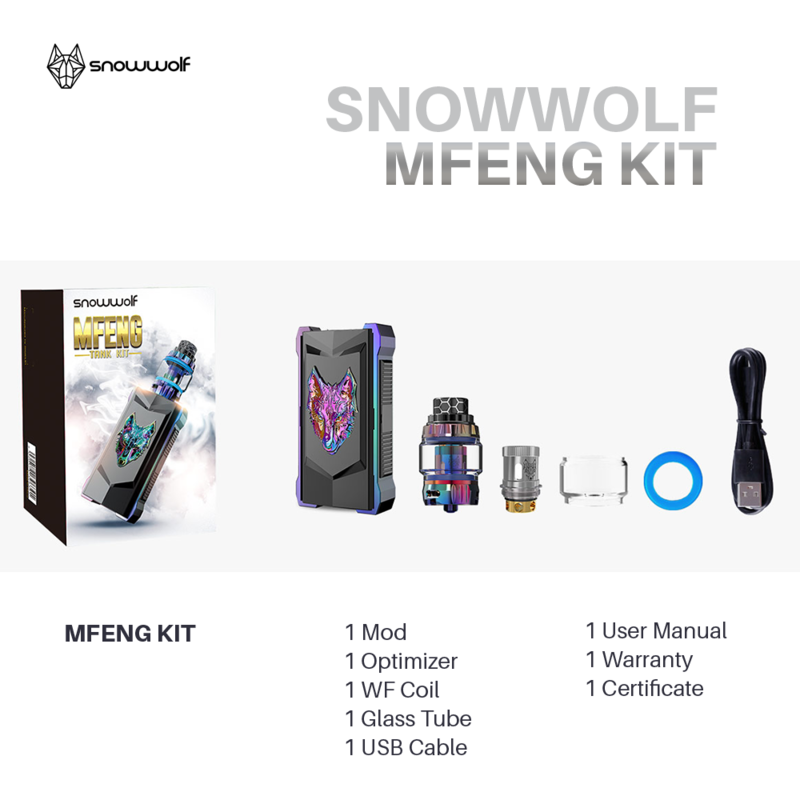 Fully constructed with elaborate elements with futuristic lines, the MFENG 200W Box Mod transcends the SnowWolf's devices to a new level. 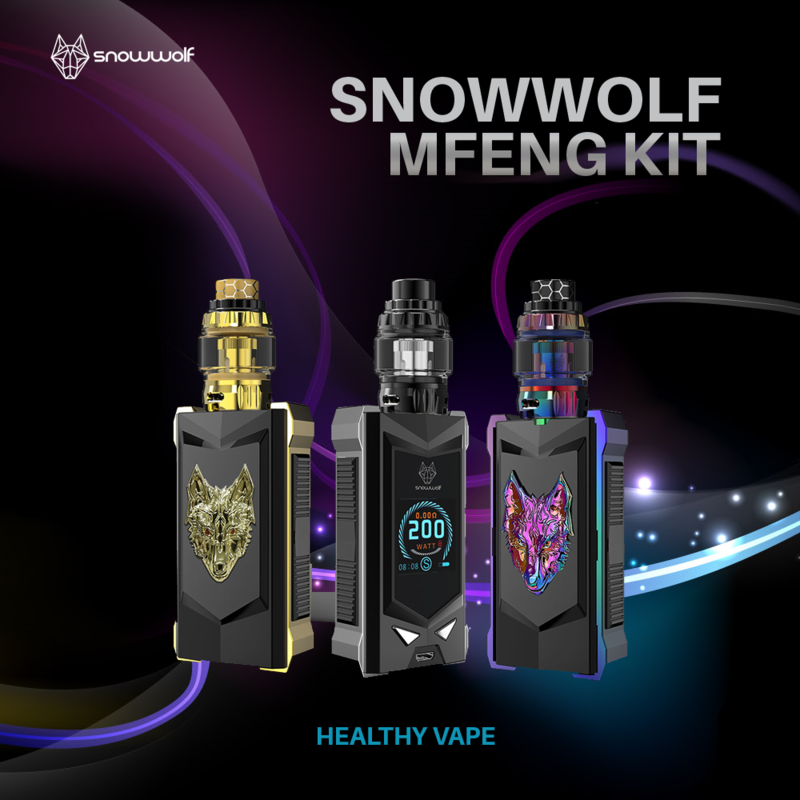 The SnowWolf MFENG is capable of 10 to 200W of output, selectable Power Modes, multitudes of customizable settings, and comprehensive temperature control suite. 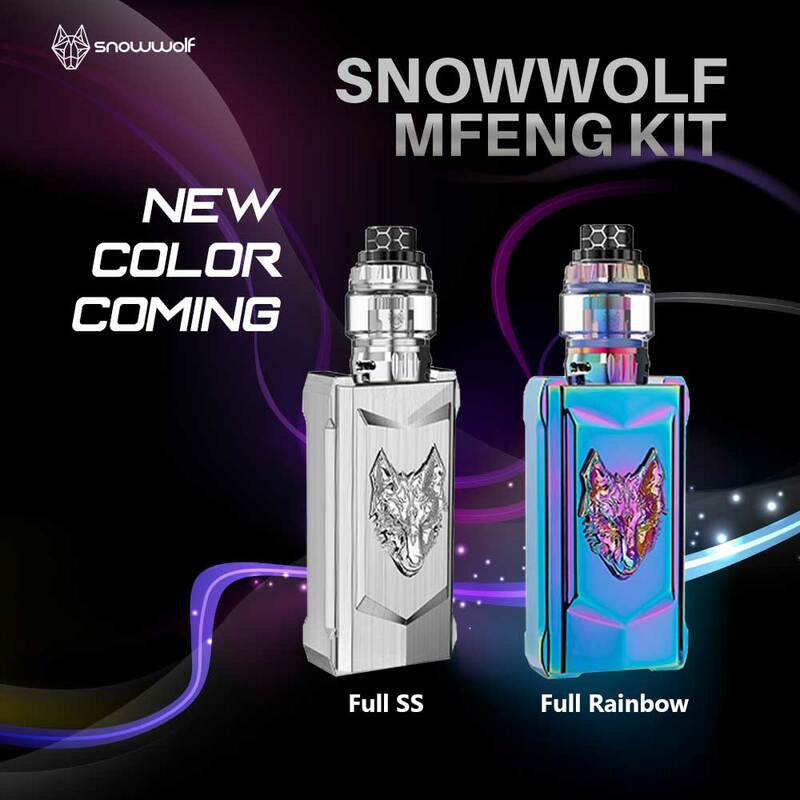 The high-performance masterpiece includes the new WOLF Tank, featuring 6mL maximum ejuice capacity, threaded top-fill, triple bottom airflow control, and the new SnowWolf MF Coil System. The package includes a 0.2ohm WF Coil rated for 60 to 150W and a 0.16ohm WF-H capable of a staggering 230W! NOTE: This product is for advanced users only. Please use with caution. We will not be held responsible for any damage or risk involved in use or modification of the batteries, chargers, devices, or other products. BATTERY WARNING: We are not responsible for any injury or damage that may occur with improper use or mishandling of Li-ion (Lithium-ion), LiPo (Lithium-ion Polymer), and other rechargeable batteries. Please ensure that the user has sufficient knowledge in the use and care of rechargeable batteries before using this product. Always charge batteries on clean, fire-proof surfaces. Never leave charging batteries unattended. Do not use any batteries or chargers with visible damage. Always store and transport rechargeable batteries in a safe, non-conductive container in a controlled environment. Dispose of all batteries and chargers properly according to local laws and mandates.